It’s been almost a year since I first saw The Led Farmers perform in the Workman’s in Dublin, with their infectious version of trad/folk that just makes you want to dance. In that year they’ve continued touring, bringing their unique blend of Irish folk to the masses to internationally demonstrate just what trad music is really about and the expertise required to perform it. In fact, each member has studied and qualified with degrees and masters in classical music as well as embracing pop, rock and experimental genres, as well as boasting two All-Ireland Music competition titles. Their stage presence has always been second to none, which explains why they’ve worked so well throughout Europe, with their own essential blend of folk/trad intertwined with peppering of the Dubliners, Planxty and The Pogues; the boys have managed to stand on the shoulders of giants and simultaneously forge their own reputation. Their fresh take on the classics is where they truly excel, and their songwriting abilities demonstrate what raw, untapped talent is continuously emerging from Ireland. Furthermore, they’re not ones to shy away from a few cover tracks, their cover of Beyoncé’s ‘Crazy in Love’ has always boded well with fans at their performances, managing to put a very Irish twist on a song that’s hailed as a classic R ‘n’ B track. 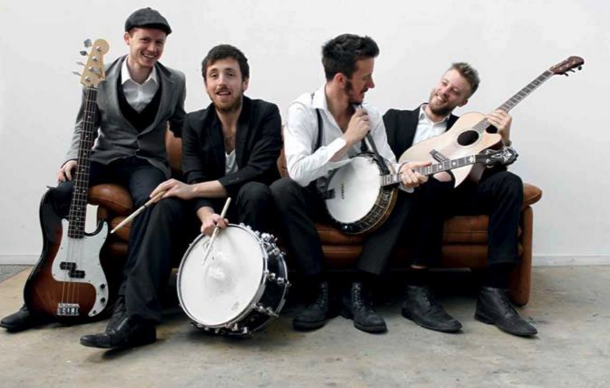 Last year saw the launch of their well-received EP, Lucy, which is an explosion of banjos and Irish anthems to remind all music fans that traditional Irish music is more than just knowing the words to ‘Irish Rover’. There’s a charm to their sound, historical Irish sounds but with new energy and elements of pop that makes this so much more than a few boys drinking pints and coming up with a few tracks, this is their passion and their love of Irish music, and their desire to share it is more than palpable throughout this album. The boys already have some serious plans for 2016, setting their sights on America later on this year. However, if you’re not planning to venture that far to hear some great music then check-out their EP to cheer you up on this overcast Monday.